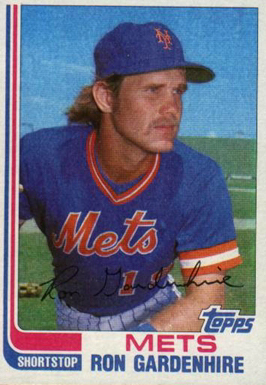 Nice to see the Twins signed Ron Gardenhire to a two year deal today. And so the season has a happy ending after all. Well, in this one respect, anyway. Gardy has been managing the club since 2002, won Manager of the Year in 2010, and finished second in the running in ’03, ’04, ’06, ’08, and ’09. Who votes for Manager of the Year? Twenty-eight members of the BBWA (Baseball Writers Association of America. That’s who. So apparently there are quite a few people out there who think that he’s a pretty good manager. Funny how little Gardy has changed since he played shortstop with the Mets. Okay, where are we now? We are at the 29th of September. The last game of the season. 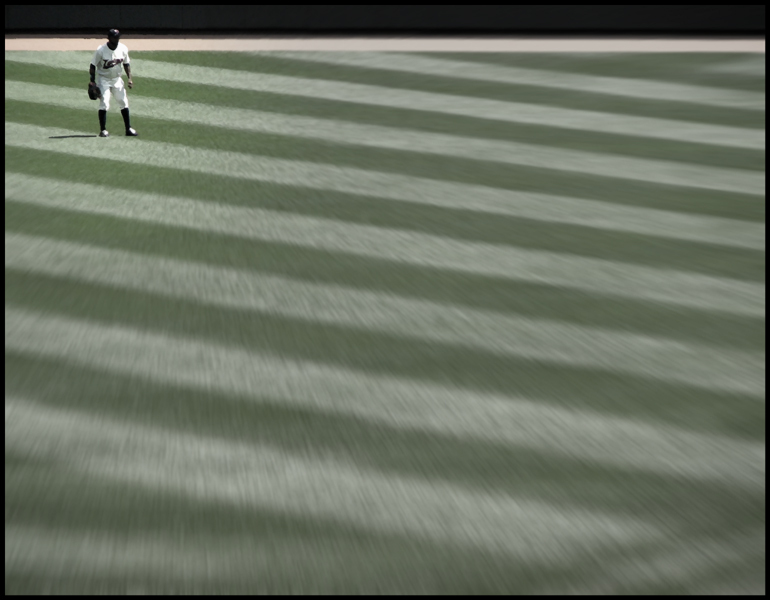 TheTwins play the Cleveland Spiders, who, at 91-70, are a game up in the midst of the “wild-card” chase. So those Clevelanders can clinch the spot with a win today, while a loss could drop them into a three way tie for the two spots. The Twins have suffered through another long season of the doldrums. Progress is hard to see. Shades of the latter years of the Tom Kelly era! The Twins stand at 66-95. Last year they finished at 66-96. Two years ago it was 63 and 99. If the old saying is true, that every year each team will win 66 and lose 66 and the other 30 games are up for grabs, then the Twins have lost 29 of those games, with one left to play. The boys are 3-15 in their last 16 games, and have lost 5 in a row. They’ve traded Morneau and lost Mauer to a concussion. Their starting pitching has been terrible, and their offense offensive. They’ve scored 613 runs, third lowest in the league. They’ve allowed 783, the second worst. No, this has not been a fun season for anyone involved. I’m sure there will be a hue and cry to fire Gardy in the off season. I think they should keep him. He can only work with the tools he has, and so far, the last few years, they have not been giving him much to work with. 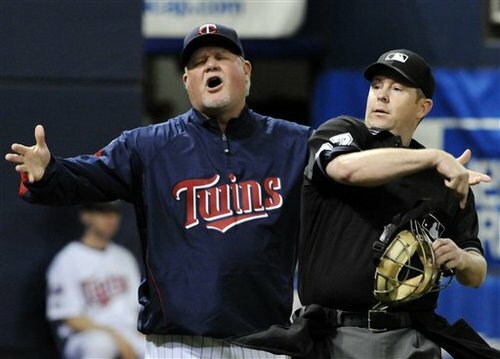 Gardy’s had 8 season’s over .500 ball; this will be his 4th season of under .500. I think he’s earned a little time. A doleful record indeed, and certainly one all of us Twins fans remember. The years in the wilderness. Actually, it’s a bit worse than what I relate here, as the Twins actually started losing in 1993. But that was just too too much to dwell on. Compared to that, The current bad spell is just that, a bad spell. A low spot in the road. A slight detour. And it may take a few years to pull out of it. I can afford to be patient. Ahh, well. Let’s go Twins. Let’s finish the 2013 campaign on a high note. I came across this picture this morning on the website of the Chatham Massachusetts’ Anglers. Nice picture; looks like a nice place to see a game. 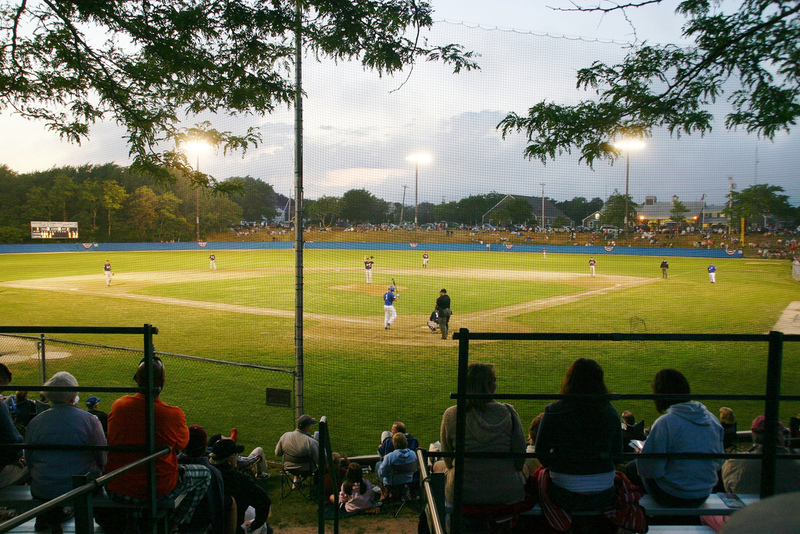 The Anglers play ball in the Cape Cod Baseball League, and had a good season, losing in the championship series to Orleans Firebirds. I’ve recently discovered the magic of old baseball cards on ebay. Well, that’s not exactly correct. I always knew they were there. And of course there’s always been magic in them little bits of cardboard. I just never thought to buy any of them before. And magically they appear on your doorstep. 1. It would be very easy to get addicted to auctions on ebay. 2. There are a lot less players than I would have thought who’s baseball card I would like to own. On my short list: Jim Bouton, Rocco Colavito, Vic Power, Tony Oliva, Harmon Killebrew, Willie Mays, Ted Williams, Pee Wee Reese, Phil Rizzuto, Jim Gilliam, Carl Furillo, Preacher Roe, Yogi Berra, Satchel Paige, Johnny Podres, Duke Snider, Roy Campanella, Sal Maglie, Hoyt Wilhelm, Pepper Martin, Christy Mathewson, Nap Lajoie, and Lee Quillen. This list is fluid; names will appear for awhile and then fall off the list. Part of it is a visual appreciation of how the card looks. 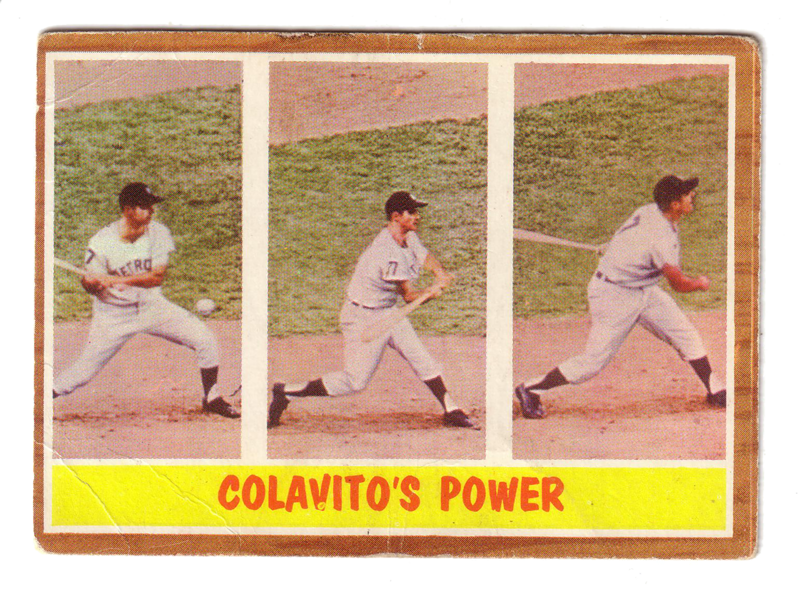 For example, I’m not too interested in the ’62 Topps Rocky Colavito. It’s just kind of a weird card. Sometimes weird is good, but not this time. 3. My favorite teams are apparently the Twins, (of course,) and the Brooklyn Dodgers. And, perhaps, the Minneapolis Millers? My interest in post-1975 cards is almost non-existent. I wonder why that is? Certainly there were many great players post 1975. Like, for example, Kirby Puckett. Or Roger Clemons. Ryan Sandberg. But, so far, I’m looking mostly at cards from the 1960s and earlier. I suppose part of it is just an age factor.. and the age of the card, I mean. 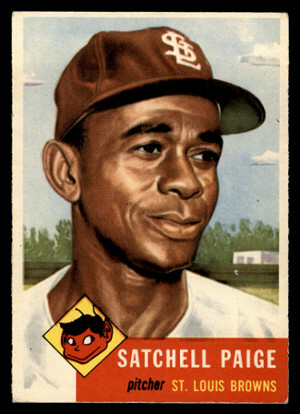 Cards pre-1960 are just more historical, more rare? I don’t think it’s a question of value, because if you are talking about mint condition investment grade cards, you are not talking about my price range. Which is okay by me. I like a card that has been handled and shows some wear. I like a card that has been appreciated. For me, the old old very old cards are great, but generally out of my price range too, especially for any player I ever heard of. The old Tobacco and Caramel cards, they’re beautiful, but mostly I just look at ’em online. I really enjoy the look of the 1953 Topps cards, which has such nice paintings of the players, rather than photographs, but those are also generally, but not always (with given condition issues) out of my price range. Other sources I’ve seen say that Dvorak was one of several artists, with Dvorak doing about 50 of the pictures, including Paige, Mantle, Pee Wee Reese, Johnny Mize, Enos Slaughter, and Yogi Berra. I wonder who the other artists were? I’ll be looking into that. Occasionally you will find an older card in an auction at a more reasonable price. Usually due to some condition issues, but not always. For example, this is my (first?) 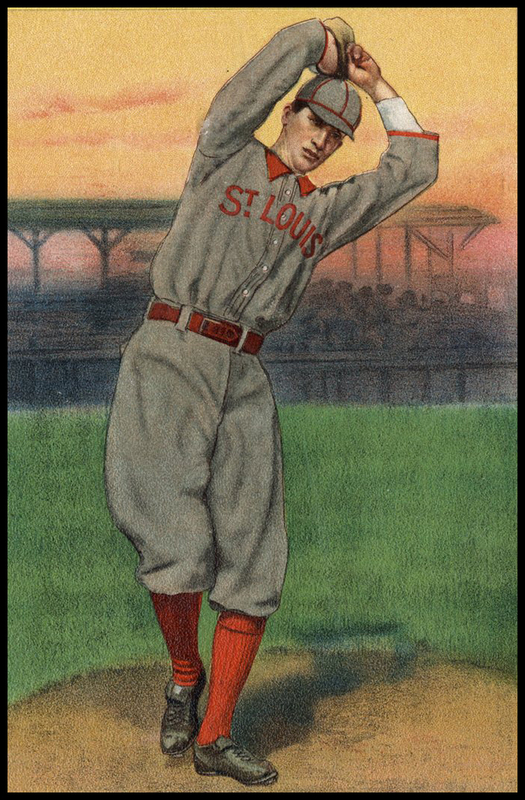 T-206 card, the aforementioned Lee Quillen, who I had not heard of, but that I couldn’t pass up. It’s probably from 1909 or 1910, and obviously not in great shape, but also simply beautiful. If you’ve never seen a T-206, they’re a lot smaller than the cards today, about a third the size, probably a bit less. They are little magic gems, time travelers from a different age. I wonder who owned this old card back then? And how it survived through all those years? Someone must have valued it back when it really had very little value, and stashed it away somewhere for safe keeping. Lee Quillen was a third baseman, born in North Branch, Minnesota, on May 5th, 1882. He started his career with the Minneapolis Millers in 1902, then played up with the Duluth Cardinals in the Northern League in 1903 and ’04. He hit .350 with the Lincoln Ducklings in 1906, and joined the Chicago White Sox for four games at the end of that season. In 1907, though, he hit only .192 for the Sox, and he wound up with the Minneapolis Millers again in ’08 and ’09. He played five more years in minor league ball after that, finishing his baseball career with Lincoln again, in 1914. Lee died on May 15th, 1965, in Saint Paul, at the age of 83. Today in baseball history: Twins Win! The Minnesota Twins clinch their first American League Pennant on this date in 1965. A little of that Old-Time small-ball. Kaat went the distance, striking out 10. 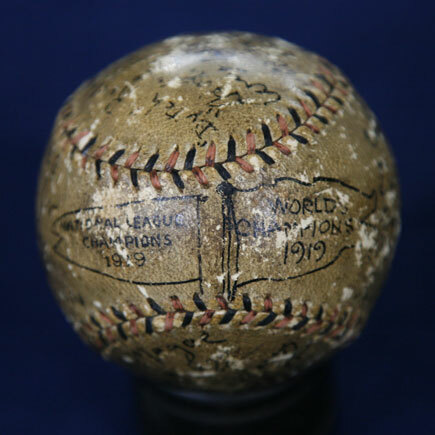 I came across this, this morning – a baseball signed by members of the 1919 World Champion Cincinnati Reds. Nobody thinks about them much; they’re the team that defeated the White Sox in the 1919 Series – and all the attention is on the “Black Sox,” throwing the series. People forget that the Reds had a pretty good team that year. They went 96-44, finishing 9 games ahead of the Giants. 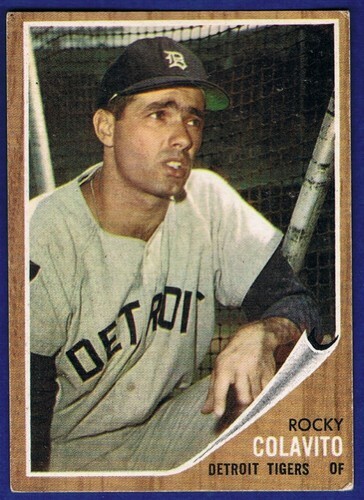 Heinie Groh hit .310 for them that year, and Edd Roush hit .321. Dutch Ruether went 19-6 with a 1.82 ERA, and Slim Sallee went 21-7 with a 2.06. How many 1919 baseballs signed by the Reds team exist? Well, the appraiser says that he thinks about five. How much is it worth? Well, this was in 2008, and the appraiser says about $45,000. You can watch it on the Antiques Roadshow website: http://www.pbs.org/wgbh/roadshow/archive/200704A30.html. Despite his talents, Harry Sallee’s career was checkered with training rule violations, fines, suspensions, threats of retirement, and a constant battle with alcohol that eventually ended his life. Further, he toiled in obscurity for eight and one-half seasons with what might have been the worst major league team of the Dead Ball era. Through it all, Sallee was considered one of the National League’s best pitchers. 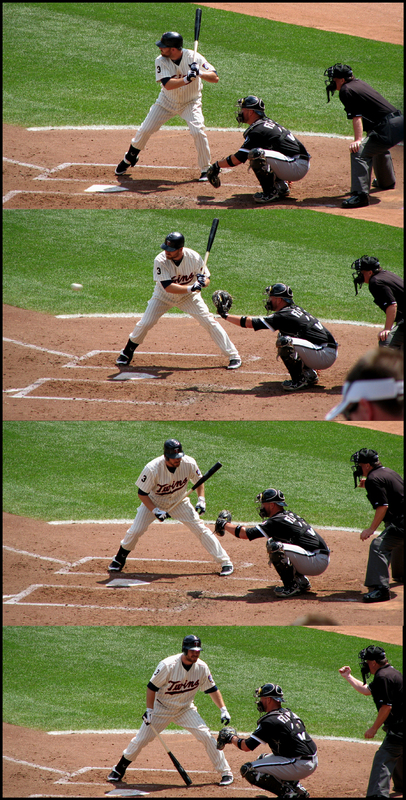 It was probably these cards that inspired this sequence below, which I shot a couple of years ago, at least. (2011) We’ll call it Kubel Goes Down. I don’t think Topps usually featured a guy striking out on their cards. Maybe I should call it Ump Blows Call.